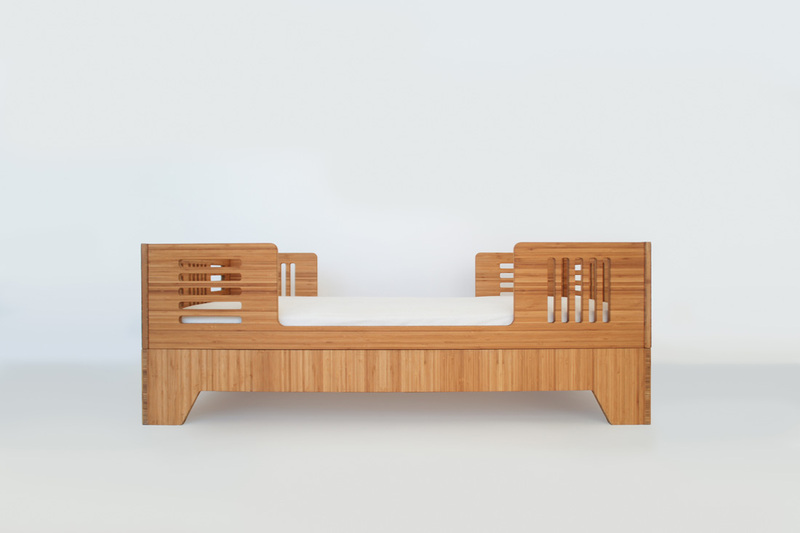 Solid bamboo bed available in toddler or twin size. 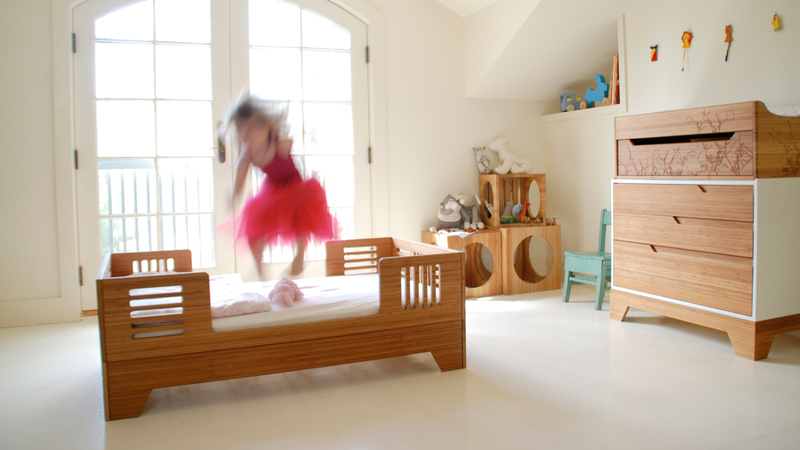 The geometric patterns of the IoLine Bed create a playful and engaging space for a child’s imagination. 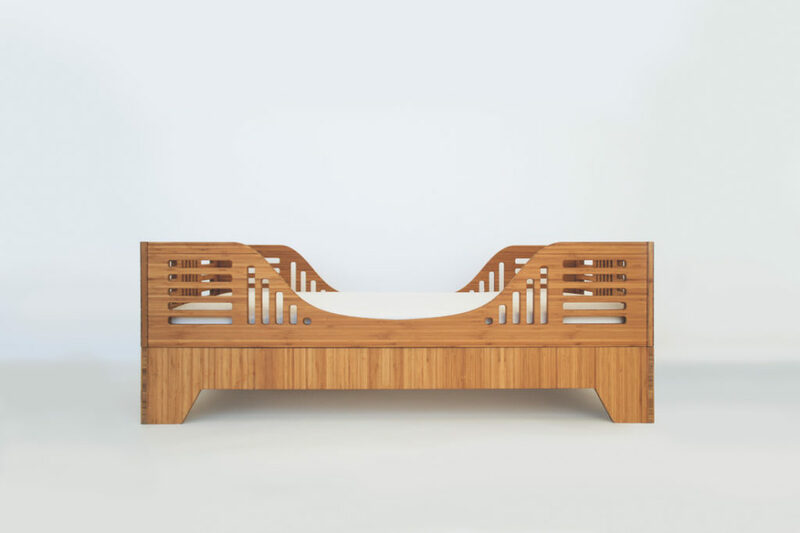 Uncompromising in design and quality, the IoLine Bed is sustainably made from the highest quality, natural materials in the United States by the finest traditional craftspeople. Pairs with Kalon’s Dream No. 1 Mattress. 100% Natural, Organic, Made in the USA. • Meets all US, Canadian, Australian and European safety standards. • Made from solid FSC-Certified Bamboo-Ply. • Mattress support is made from solid FSC-Certified Bamboo-Ply. • Toddler Bed model fits full-size crib mattresses with minimum dimensions of 51 5⁄8″ L and 27 1⁄4″ W and between 4″-6″ thick. • Finished with a premium, organic, oil-wax finish that carries an SCS Indoor Advantage Gold Certification.